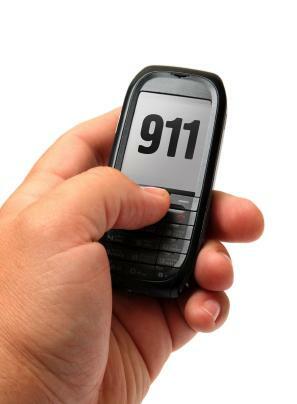 Children can learn to dial 911. A number of organizations have ideas for child safety activities to share. Rather than teach children to be afraid of situations they may find themselves in, participating in these pursuits will help them recognize potential perils and take action to protect themselves. The type of activity you use to teach children about safety depends on the child's age. It's certainly not too early to start teaching preschoolers about how to respond to an emergency. As the children get older, you can continue to teach them about these important matters as they will have a greater understanding as to what is being taught. A good place to start when teaching very young children about safety issues is with calling 911 when they need help. The activity starts by teaching the child how to recognize these numbers on the telephone keypad. The child will need to be told that calling 911 is reserved only for very special circumstances. Take special care to explain to the child what kinds of situations are considered an emergency, such as when their parent or caregiver is ill or injured, or when a fire breaks out. You might want to have the child trace the numbers on a piece of paper to reinforce the lesson before having the participants practice dialing the number using a toy phone, or one that has been disconnected. This activity can be used to teach children about safety issues when riding a bike, in-line skating or walking down the street. The activity starts by showing the children examples of traffic signs they are likely to see while out in their neighborhood. Then you can move on to an explanation of the applicable traffic laws and how they apply to pedestrians, cyclists and skaters. For the next part of this activity, set up "streets" in your classroom or living room by marking them with masking tape on the floor or rearranging the furniture into a pattern. One child is selected to walk on the streets that you have created. His or her classmates hold up different traffic signs. The person who is navigating the streets is asked what each sign means. If the answer is correct, he or she gets to turn down the next street. The activity continues until the child has approached all of signs. You can add a step where the activity is repeated, but with a focus on whether the rules of the road are different for people on bicycles. Another example of child safety activities focuses on food. Visitors to the Holiday Food Safety site can find out whether they are skillful FBI (Food Borne Illness) sleuths. A case for them to solve involving a picnic and food preparation techniques is available to download. Once the children have taken their best shot at solving the case, they can compare their results to those of food experts to find out how well they did. A washing hands song is also available from this site to encourage children to wash their hands appropriately. By adding singing to the regular routine of washing hands, youngsters get used to spending at least 20 seconds using soap to keep their hands clean. The safety activities listed here are just a few examples of how learning to stay safe can be fun. By participating in a fun pastime, the participants are more likely to remember the lesson long after the event has finished.